Generate consumer enquiries, whilst benefitting from increased revenue for every qualified enquiry. Thousands of consumers are looking for a range of home improvements every day, so take advantage of these opportunities. Do you own a website receiving over 5,000 visits each month? Do you want to offer your visitors an additional service? Are you looking for ways to monetise your site? Become a partner of Quotatis and you could earn extra revenue just by offering quotation services on your website. It doesn’t cost you anything and you could reap the benefits of helping consumers across the UK find quality trade professionals. Getting started is easy. Simply install a customisable form script onto your website and allow your visitors to compare prices from accredited professionals for home improvements such as double glazing, boiler installations, conservatories, new kitchens and solar panel installations. In doing this you can earn a commission whenever one of your users submits a valid enquiry via your site. We’re able to track all enquiries via an integrated tracking system, allowing you to see exactly how much you’ve earned each month. Quotatis are Europe’s leading consumer matching service with over 1 million consumers matched with professional contractors each year. Why not expand your user's experience and take advantage of the Quotatis Partnership programme today. You are paid for every qualified enquiry received. Add a service which is 100% free for visitors. Personalised account to monitor your success. 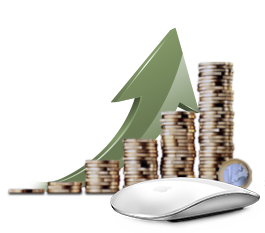 Optimise your service and increase profits. A wide range of integration methods. Service can be integrated to any website.